Finally All Links Are Live! 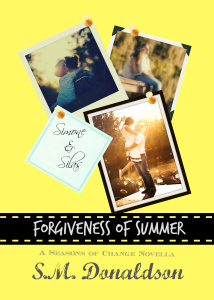 Finally all of the buy links for Forgiveness of Summer are Live and listed below. Silas Manning’s life has always been built on expectations, mostly those of others – his mother, his grandmother, basically the entire town. The one person who always accepted him for him pulled away years ago and he really doesn’t understand why. Now, he feels like he’s facing defeat and embarrassment all on his own, and paying for mistakes that aren’t even his. ← Finally All Links Are Live!